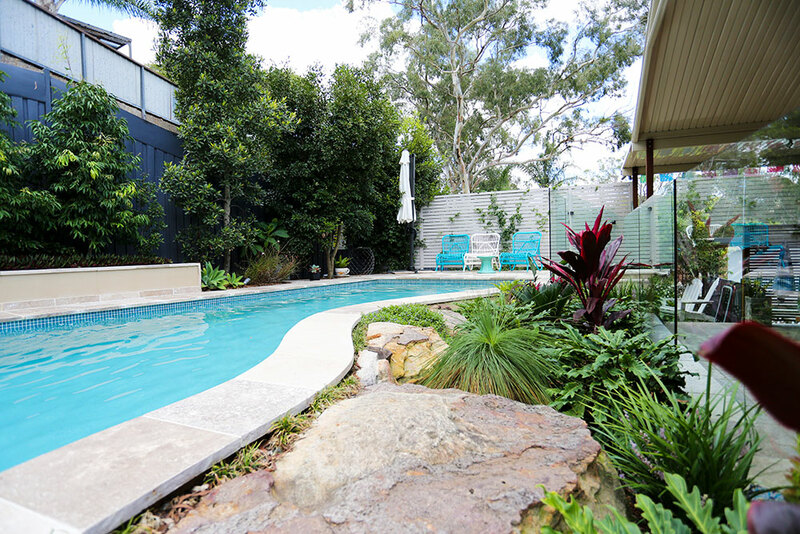 This stunning freeform style pool is situated on the edge of Sydney’s Royal National Park in Engadine and covers virtually the entire backyard, feeling like it surrounds the entire house. 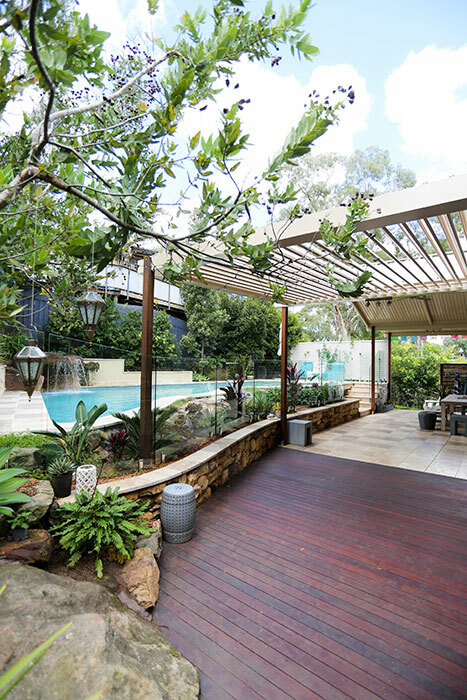 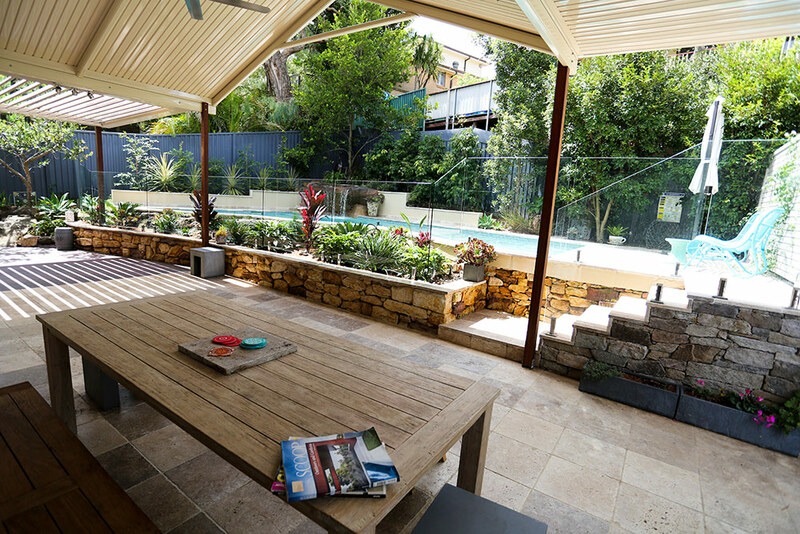 The freeform contour of the pool highlights the connecting tropical-style garden while the frameless glass fencing provides a discreet barrier without diminishing the impact of the overall design. 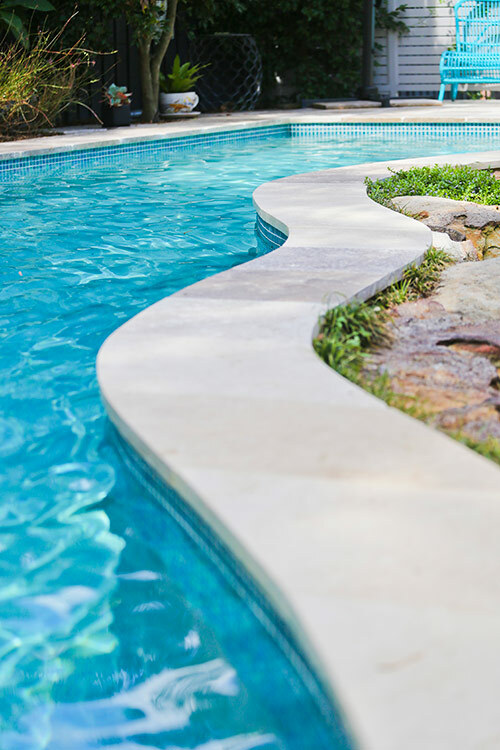 The glass mosaic border-line tiles contrast beautifully with the interior white/green fleck interior lining and natural pavers surrounding the edge of the swimming pool. 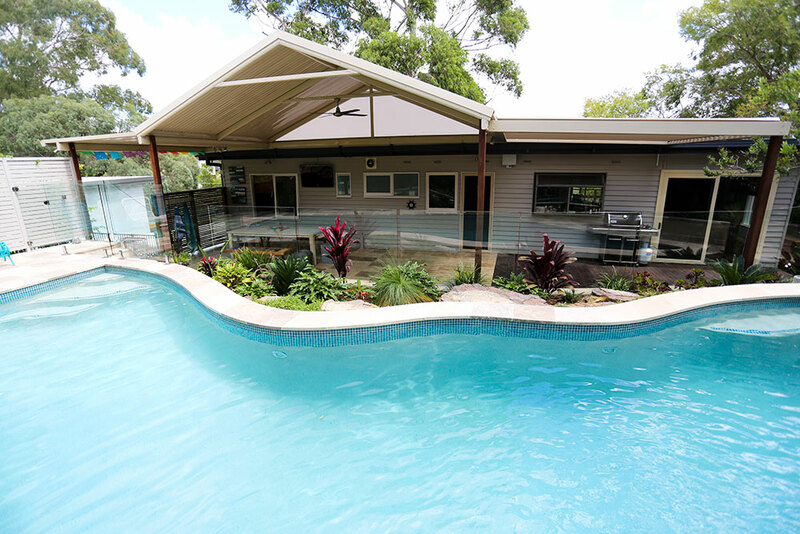 Fitted with advanced heating provisions, a Pandora smart cleaner and Viron Connect Controller, the owners have full control over the pool and water feature from anywhere within the house.